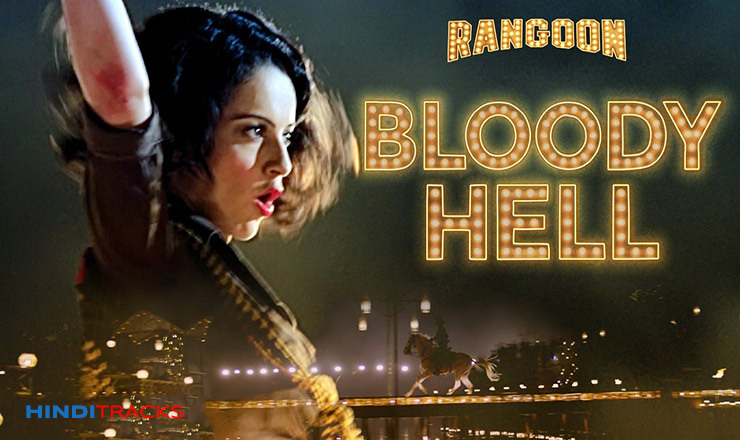 Bloody Hell Hindi lyrics from movie Rangoon sung by Sunidhi Chauhan, music composed by Vishal Bhardwaj, lyrics penned by Gulzar. Starring Kangana Ranaut, Saif Ali Khan, Shahid Kapoor. ब्लडी हेल, हेल, हेल, ब्लडी हेल..
वो क्रेजी था और लेजी मैं..